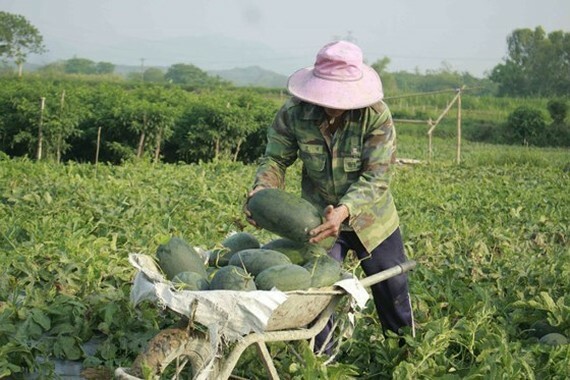 Currently, watermelon growers in the central province of Quang Ngai are worrying about the drop in price of watermelons at the beginning of the crop with farming area having reduced compared to the same period last year. 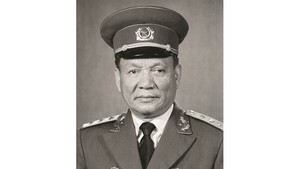 Mr. Nguyen The Vinh, deputy head of Quang Ngai Province’s Plant Protection Department, said that the watermelon cultivation area of the whole province is 651 hectares, down by more than 200 hectares compared to the same period last year. At present, the price of Black Beauty melon is about VND3,000 per kg while round watermelon is priced VND2,000 per kg. In last year harvest, the price also decreased significantly to VND1,000 and VND2,000 per kg, which disappointed growers leading to the reduction of cultivated area. The price fall has recurred at the beginning of this year, causing more concern among farmers. According to Domestic Market Department’s recommendation, businesses, cooperatives and farmers must meet requirements on safe production process, origin tracking and other requirements on export products. Farmers in Binh Thanh Tay Commune in Binh Son district has piloted seedless watermelon growing in organic way in combination with dripping irrigation system in approximately one hectare with the average productivity of 2 to 2.5 tons per 500 square meters. The price of seedless watermelon is higher than others, approximating VND7,000 to VND10,000 a kg. Because of difficulties in consumption, farmers have transported their fruits to neighboring provinces by themselves for sale.